You can’t break the lanterns. Okay, so maybe breaking lanterns won’t actually bother you. And maybe the different approach to combat won’t bother you. Perhaps all the changes, differences both in feel and in design are welcome, but whether or not it’s what you expected, this iteration in the Castlevania collection is unique. Mercury Steam’s take on this classic Konami franchise is an interesting one; a good one, but not a perfect one. 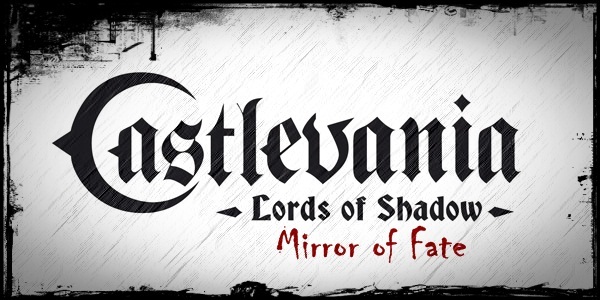 Castlevania: Lords of Shadow – Mirror of Fate (henceforth referred to as Mirror of Fate for obvious reasons) is part of the “revisionist” series of Castlevania games birthed by Castlevania: Lords of Shadow. I’m going to avoid relating the plot of these games to that of their older counterparts, suffice to say that Simon Belmont, Alucard and Trevor Belmont return as playable characters. The game starts out with you playing as Gabriel (protagonist from the first game) for a bit of tutorial-prologue then proceeds to Simon’s story. Each of the three characters gets an act of the game, offering different view points on the characters, the castle, and the events which occur within. While telling a story from different characters’ perspectives is nothing new, it’s used well here. The plot isn’t constantly shifting; you get to play through each character to completion then move on and see a different piece of the story. There’s this ghost-like robed fellow with a broken chrome mask who follows the characters. Perhaps he represents fate (as he appears to be an emissary of the eponymous Mirror of Fate), perhaps not, but he’s used sparingly and to great avail, summoning feelings of intrigue in the early parts of each act. Mirror of Fate‘s story is coherent and the payoff is satisfying despite the character switching. I make a point to note that the story is quite well done because the Castlevania series as a whole tends to be far too in love with itself. Many franchises are, but how many times can we revisit a dark spooky castle and fight monsters of the macabre or occult lore? Many times, and this game is no different. There are some rooms in Mirror of Fate which are beautifully presented with plenty of hand-picked background pieces and subtle art direction. There are also lots and lots of corridors and stairways and I can say that save for the boss and puzzle rooms, I can’t tell where is where in that convoluted cobblestone castle. Vampires, whips, castles, monsters: check. Breakable lanterns? Not-check. On a scale of one to Castlevania, this game ranks at about a seven; sporting many of the series’ mechanics and features (right down to some of the weapons) but with some incredibly core differences, some of which are a tad irritating. Mirror of Fate is a product of this new style of games dubbed “cinematic.” Why yes, of course many games have cinematics (and this game’s pre-rendered cutscenes are gorgeous), but I mean the gameplay. Instead of hitting a button to do a dedicated attack, there’s now combos, executions and quick-time events. The new combat style is part of something different and enjoyable, this faux grid system where enemies appear on either side of you on either the ground or the air and must be managed as such. Using direct attacks only covers the ground and deals big damage, but the weaker area attacks hit the air-based enemies as well. Mixing up combos, sub-weapons (like the boomerang and throwing axe), defensive maneuvers and either offensive or defensive magic makes for enjoyable combat. Then there’s the rest of it. Executions stop combat to play a short animation complete with close-up camera shot of whoever you are using killing whomever you are killing. They lack the punch featured in the executions of games like God of War and only serve to drag out combat. Albeit bland, the executions don’t take too much away from the gameplay, but the quicktime events sure do. During certain boss or fight-related cutscenes, quick-time events will often show up. Most of these are insta-death if you fail but since usually you’ll simply resume shortly before the quick-time event, they become this engineered waste of time which grants nothing to the player. Fortunately, the buttons show up on-screen as they are laid out on the 3DS, so failure is less likely than it could’ve been. Worse than those are the more mundane and far more plentiful quick-time events of simply opening chests or certain doors. Surely all of these events are designed to increase tension, but they fall upon annoyed, impatient hands. They were designed with good intent and with careful thought, but as features they’re just not welcome. Mirror of Fate is fun whenever it’s not throwing about silly contrivances. The combat feels unique amongst any sidescrolling action game, not just a Castlevania game, though it’s farthest from any of its brethren in this regard. A focus on exploration complete with puzzles and a wealth of platforming challenges is hit and miss, ranging from the classic laser-deflection puzzle to some fun traversal puzzles. A solid story and the excellent plot device that is the Mirror of Fate really hold this game together, ensuring that the flaws, all of which are quite surmountable, don’t bring the game experience down too much. While I was decidedly not a fan of some of its parts, Mirror of Fate is an overall enjoyable experience. It’s a crystal sphere which is on average quite fun to look at (even in 3D) and feels smooth aside from a couple divots here and there. Mirror of Fate is a solid game to play on the 3DS, which shines when it’s engaging–just bright enough to blur some of its shakier moments.